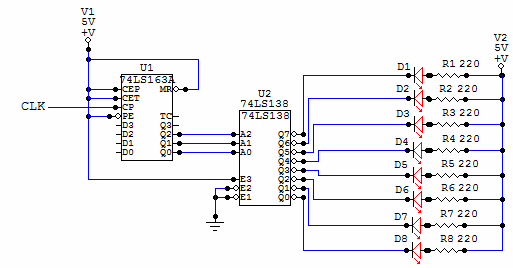 This circuit can be used as illumination for a sign or frame. Also, depending on how you arrange the leds, a star sparkle can also be simulated. Other effects depend on the speed and arrangement of the leds.